Shortts Lake area residents frustrated with slow internet speeds, or no internet service at all, have a new option. The venture is a partnership between the non-profit organization @NS and private enterprise NCS Network. 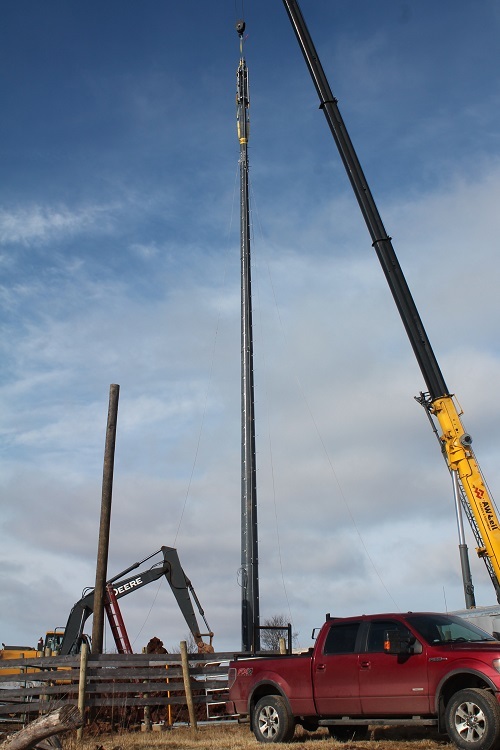 The erection of a 30 metre tower at a site on Shortts Lake West Road in January of this year was a major stepping stone for the project. The completion of the necessary connections came in March, followed by testing to ensure expected speeds were reached. The original intent was to service up to 300 homes along a 13 kilometre stretch in the Shortts Lake area. However, testing indicates more homes in the area are able to be connected depending on where they are located. For @NS, formerly the Nova Scotia Community Access Program (NSC@P), this is an entirely new endeavour. President Charlotte Janes says, despite that, the group felt providing better access to high-speed internet fell within its mandate. Money for necessary equipment was provided by a grant through the Province of Nova Scotia’s Municipal and Community Rural High Speed Internet Funding, administered by the Nova Scotia Department of Business. Those seeking more information on getting connected can call 877-473-3660 or visit www.novascotiahighspeedinternet.com.